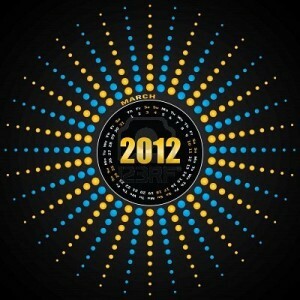 The end of 2011 is coming up…fast. With multiple major holidays on the horizon, the last thing you’re probably thinking about is your SEO. But now is exactly when you should be thinking about it! SEO is incredibly long term, so developing a plan for 2012 now means you’ll be better positioned to grow your online brand presence and build your brand throughout the year. Why not kick start your SEO and get it off on the right foot? It’s easier to create an aggressive SEO campaign for 2012 when you have a clear picture of where you stand in regards to the competition. Knowing how your past SEO efforts measure up to your top competitors can give you an idea of the playing field and what kind of SEO campaign you need to develop. Did any new competitors emerge in the past year? What niche or long tail keywords are they targeting? Did a top competitor fall in the SERP? What did they stop doing with their own SEO and can you find a way to capitalize on their stalled campaign? You can also find sources of inspiration for your own SEO by doing a competitive analysis. Are your competitors part of an industry association that should join? What kind of topics are they focusing on with their content marketing? What niches are they ignoring that you can focus on, building your own online presence. It’s easy to lose the forest for the trees with your link building. That’s why it’s so important that you conduct a full link audit on your own site at least once a year; now is the perfect time! A link audit is valuable for multiple reasons. First off, it shows you every single inbound link your site has, both ones you’ve specifically built and natural links that occur with time. You want to check each and every one of those links (whether it be 100 or 10,000) and see what kind of site that link is coming from. Is it a link from an online press release? A blog comment? An author biography? What type of link building are you heavily invested in? What kind of link sources should you target more frequently in 2012? You want to make sure you build your SEO on a blended, diverse link portfolio. You never want to put all your link building eggs in one basket as this leaves your site vulnerable. You also want to check your link sources to determine if they good, quality sites that can pass valuable link juice along to your site or spammy, low-quality sites that could potentially drag your site down with them if they’re penalized. Obviously you can’t control natural link building, but you need to know where your inbound links are coming from! Some black hat SEO competitors may have waged an unscrupulous war against your site, linking to your site from spammy sites in the hopes that the search engines would penalize your site, thereby improving their own position. The two most common complaints most site owners have in regards to their content marketing is 1) they don’t know what to write about and 2) they just don’t have the time to write that much content. Eliminate excuse number two now and develop an editorial calendar that you can follow for the first few months of 2012. If you’ve been publishing two blog posts a week, schedule in time so you can bump it up to three. Start developing relationships with partner sites now so you can submit one guest post to their blogs every month of 2012. Check out some of the industry blogs you’ve commented on as part of your link building, do any of them accept guest post submissions? If you create an editorial calendar now, it will be easier to ensure consistent production of content in 2012. The best content marketing strategies rely on the consistent creation and promotion of quality content. Outlining how much content you need to be producing and where you should be looking for it to be published will help you stay on track through the year.